Wizards overcome slow start, beat 76ers 103-94. 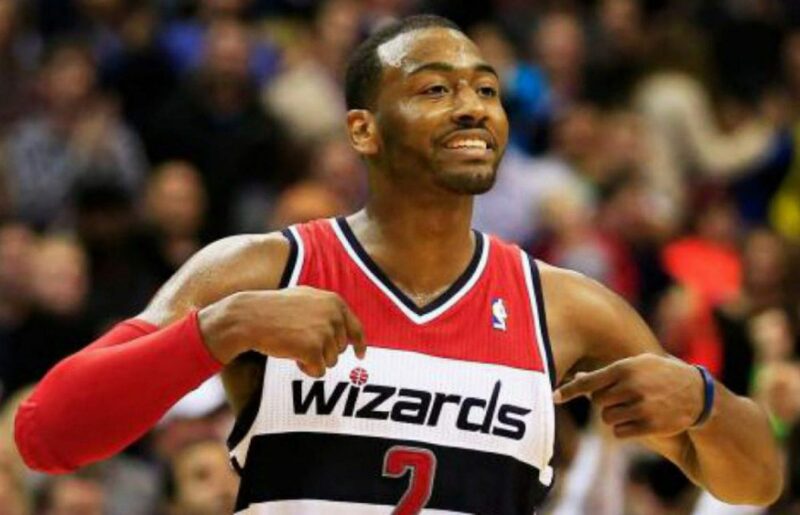 Five Wizards players scored in double figures as the team overcomes a slow start to beat the 76ers, 103-94. John Wall was the high scorer for the Wizards with 23 points and was just two rebounds short of notching a triple-double. The Wizards really didn’t pick things up until about halfway through the third quarter. For most of the night, the 76ers played like the team who was looking to make a late season playoff push. The Wizards were just going through the motions and assumed that would be enough to beat this Sixers team. The Wizards went on a 12-2 run to end the third quarter giving them a 76-72 lead. After stretching the lead out to ten early in the fourth quarter, the Sixers made one last push and were able to cut the deficit to five. The Wizards hit their free throws down the stretch to close this out 103-94. Slow Start: Once again, this team lacked a sense of urgency to begin the game. Give Philadelphia credit as they played very hard tonight. The Wizards talent eventually took over but it wasn’t until deep into the second half. Slow starts won’t necessarily cost you a game against the Sixers but do that against other Eastern Conference foes and it will. It’s still pretty puzzling that a team who’s on the outside looking in doesn’t play with more urgency. Free Throw Shooting: The Wizards went 16-17 from the line tonight as well as 6-6 in the final minutes of the fourth quarter. I’ve mentioned how free throw shooting could potentially cost this team if they didn’t clean up their act but tonight, it iced the game. Otto Porter Reemerges… Sort Of: Otto started the game 4-5 from the field but then missed his next seven shots. Porter did all of his scoring in the first quarter, a time where the Wizards were struggling to get buckets. Porter also had 10 rebounds tonight. Unfortunately, after the first quarter, Porter went invisible again. He lacked aggression and didn’t look engaged at times. This game was better than the last few for Porter, but still, he’s got to show up for the entire game.